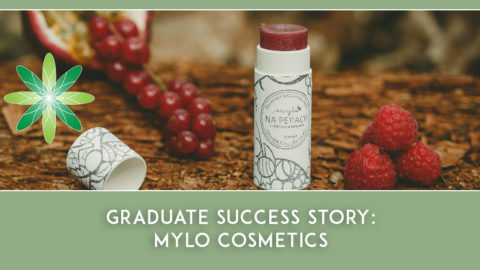 We love seeing our graduates create skincare brands that are inspired by different parts of the world. Kypwell is one of those brands, started by our graduate Inna Orlova. Inna took inspiration from the Mediterranean Island of Cyprus and create a stunning skincare range which reflects Cypriot ethos and traditions. We were excited to catch up with Inna and ask her all about Kypwell. Hi Inna, please tell us a bit about yourself! Kypwell was created by myself and a longtime friend, who I met while studying at university in London. 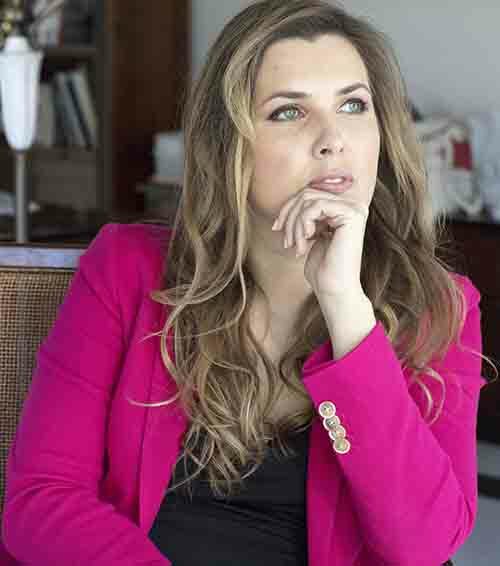 I had the opportunity in my career to work on multiple industries and projects internationally, mainly in strategic management consulting and social entrepreneurship projects. I was based in Russia for some time but was travelling frequently to Cyprus, and really loved the island lifestyle and nature. We finally moved here with my family and Cyprus became our new home. About three years ago, I visited a local cultivation of herbs and was very impressed with the quality and power of herbs growing in Cyprus, as they are considered to be the best quality in Mediterranean. Cultivations are usually on the mountains of Troodos, growing at ideal climatic and environmental conditions. Local cultivators and herbalists have since ancient times worked with herbs and their medicinal healing powers. I was fascinated. At that time, I discussed the topic with my university friend who is Cypriot. It happened that she was also studying about herbs and we started discussing about how we could create herbal products and at the same time make Cyprus’ unique lifestyle traditions known. 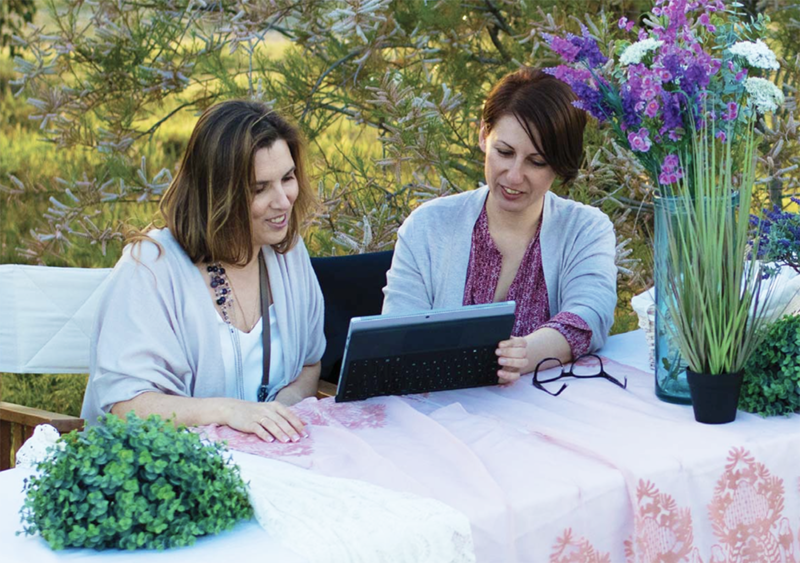 With my significant experience and background in various international business projects and Elena’s years of experience in digital technologies, combined with the love of Cyprus and its nature we have decided to partner together and put our experience and love into creating Kypwell. We are based in the Mediterranean island of Cyprus and we work from the cosmopolitan seaside city of Limassol. Here we are setting up our wellbeing club, which is a holistic center offering personalized solutions for the body, mind and overall wellbeing. Services include face and body treatments, fitness programs, nutrition solutions, lifestyle consultations and interesting seminars about wellbeing. 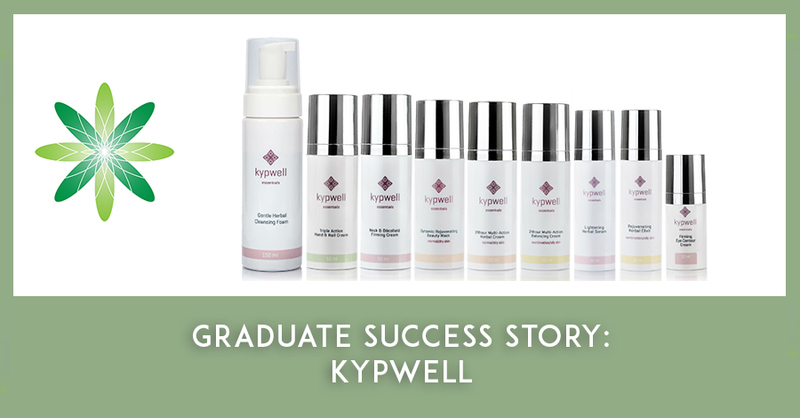 Customers can also experience our range of Kypwell skincare essentials and herbal tisanes. We work closely with a small and trusted professional team to develop our products and to make them known internationally. Our team consists of international experts: respected biochemist, herbalist, doctor, nutritionist, cosmetologist and psychologist with which we collaborate in creating our products and services. Where did the name for your business come from and where did you get the inspiration from for your brand? Our name comes from Kypros Wellbeing. Kypros means Cyprus in Greek. The inspiration comes from the natural beauty and healing power of the nature of Cyprus. With Kypwell we want to create products and services that use the healing power of these Cyprus herbs and plants, as well as promote the Mediterranean island’s traditional values and focus on essentials of life, health, family and friends. Our logo has also been created with these values in mind, having as symbol a flower inspired by the traditional lefkaritika lace. Cyprus has been known from ancient times for its lefkaritika handmade laces which are part of UNESCO’s Intangible World Heritage List. Kypwell’s mission derived from this inspiration and is to inspire and enable people to lead natural, healthy lives by offering high-quality products, practices, and services, based on the locally grown herbs and unique lifestyle traditions of Cyprus. What type of skincare products do you sell and which one is your favourite? We have a skincare range for face that includes 24-hour creams, eye cream, eye serum for dark circles, neck cream, flower mist toner, face scrub, masks, face oil and a range of serums for specific conditions. 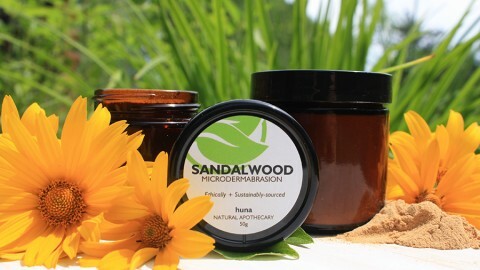 We have created solutions for rejuvenation, lightening, sensitive skin and acne. We also have products for hands & nails and for the body: body scrub, anti-cellulite and firming emulsion and a Divine dry body oil. Our products are created with unique formulations of pure organic certified herbal oils, infusions and flower distilled water in combination with high-tech natural ingredients. We position our range as NaTruCeuticals, being natural, true and effective. Each product is targeted and effective for a specific condition, but at the same time provides a holistic action to the skin, with the aim to nourish and rejuvenate and bring it to its natural healthy balance. 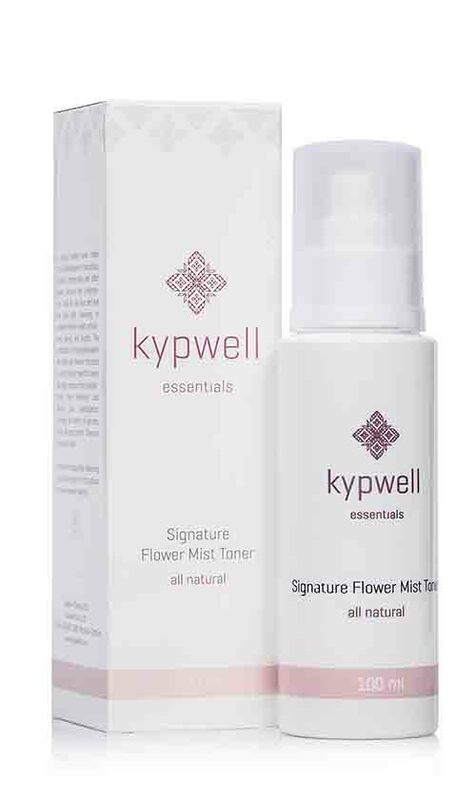 If I am to pick up one favorite it has to be the Signature Flower Mist Toner. It is an all-natural herbal toner without preservatives and it includes herbs for environmental protection, revitalization and holistic action on the skin. It’s ideal for all skin types and safe for the eye area, and can be used after cleansing, or whenever skin needs refreshment. I always have it in my handbag and use it throughout the day even on top of makeup. I especially love it when travelling in an airplane. 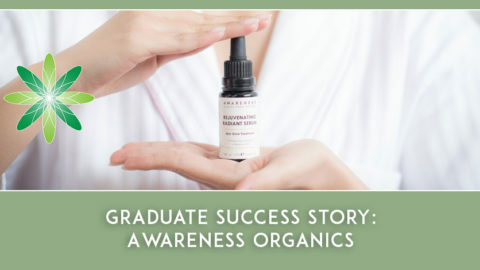 I completed Formula Botanica’s Diploma in Organic Skincare Formulation; I believe it helped me a lot in creating Kypwell. Firstly the modules were practical and very useful for real life business; secondly I joined a great community of specialists where everyone can receive help and advice. 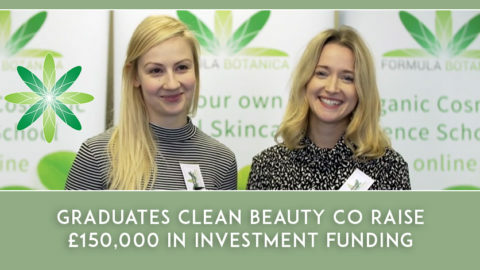 I will definitely stay with Formula Botanica and recommend it for all artistic Indie cosmetic entrepreneurs and will try to participate in all various practical events that Formula Botanica is offering: webinars, conferences, on-line discussions, etc. 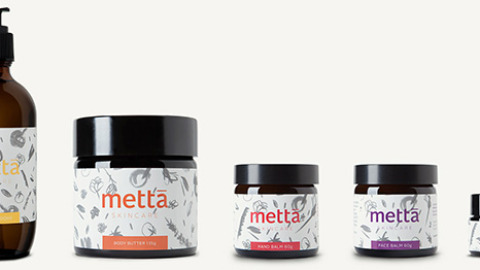 I was always interested in wellbeing and the impact of wellbeing products in our lives. Personally I had also experienced this through my mother’s health journey with cancer. That is why when I realised how herbs and plants can have a positive effect on people’s health and how it is possible to create natural but also effective and safe skincare products, I knew that I just had to create a business doing that. It is amazing how many products exist out there that include harmful ingredients and sadly many people are ignorant of the effect they have on our health. Kypwell’s skincare range has been created with this in mind, so that all products are safe, cruelty free, vegan and do not include any harmful ingredients while at the same time provide effective solutions to each personal condition. I think one of the hardest issues was to decide which products to launch and focus on. I have come across many people and everyone had a different opinion to this. We ended up changing our range a few times, causing delays and some frustrations. At the end we decided to make a range that can be mixed according to each person’s needs and conditions for a personalized solution. 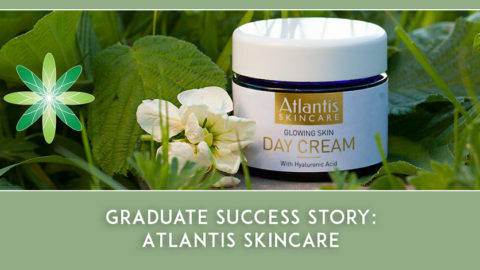 Decide why you really want to be in the skincare business and make that your mission. Many things will not go as expected and there are many moments of disappointment, but you must always remember why you are doing this. At every important action and step you make, check that it is aligned with your mission. I found that this has always put focus and that at the end it brings results.